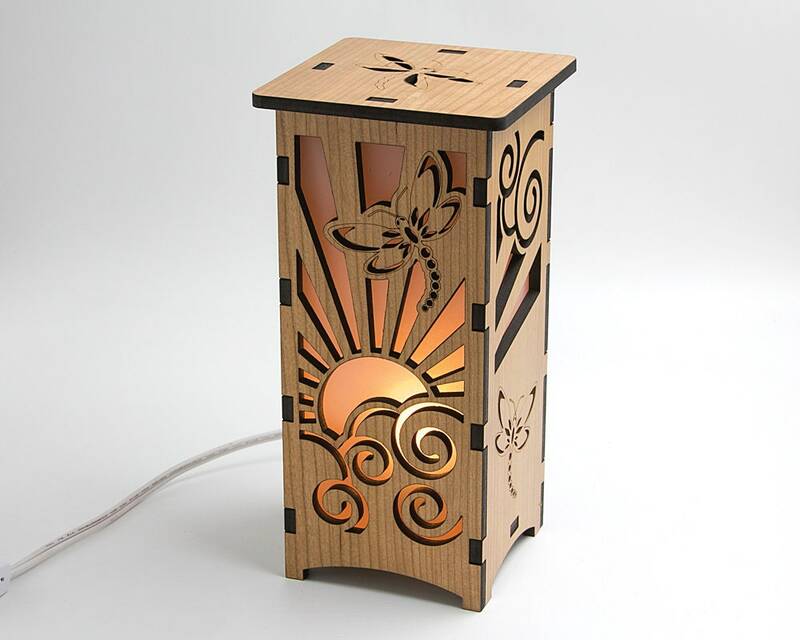 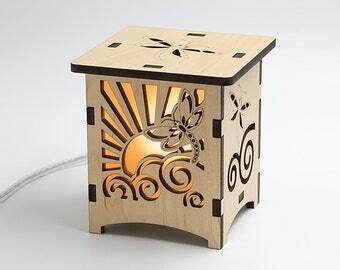 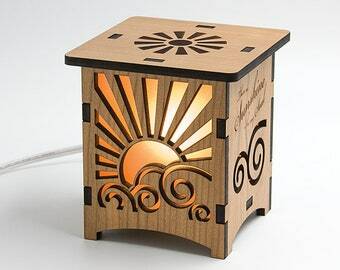 This Wood Dragonfly Lamp shows a wrap-around design of a sunburst rising from behind the clouds with a beautiful dragonfly flying in the sky. 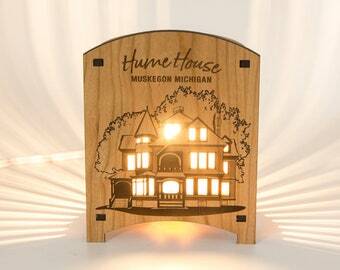 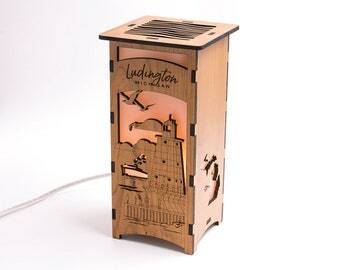 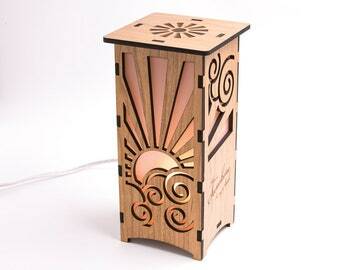 Each side features an engraved dragonfly with additional sunburst trails and cloud details. 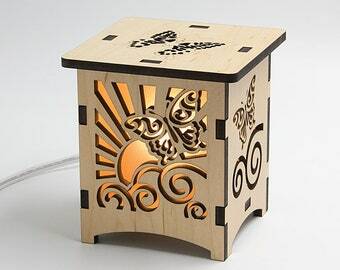 The top features an engraved dragonfly.